The T-Rex Projector and Room Guard is suitable for age 3+ and takes 3 x AAA batteries (not included). 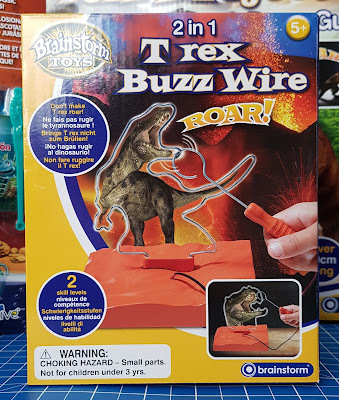 We love these and this guy has a great roar to alert you to your younger sibling sneaking into the room. He's big too, at over 40cm long. 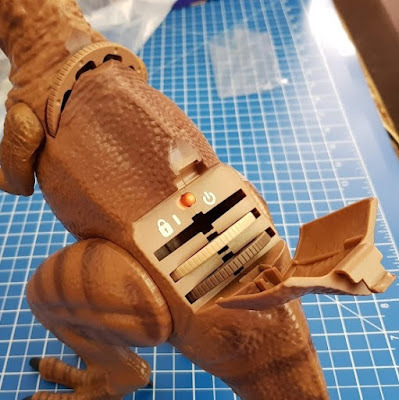 The T-Rex room guard is really simple to operate. There is a switch under the hatch on his back which swaps between room guard (power symbol) and projector (lock symbol). 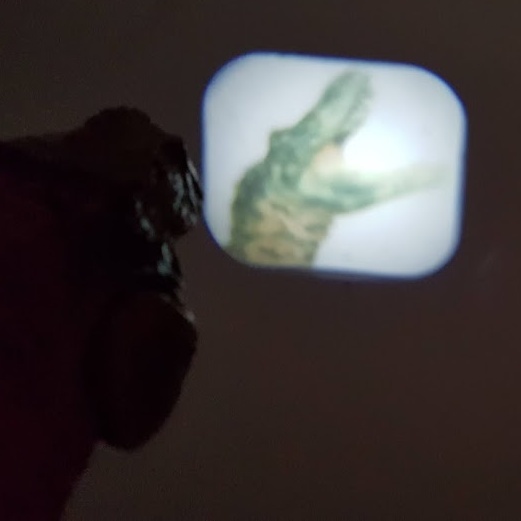 He comes with 3 dinosaur image discs for the projector. They slip into a slot in his back, and can also be stored inside the not-so-secret hatch. 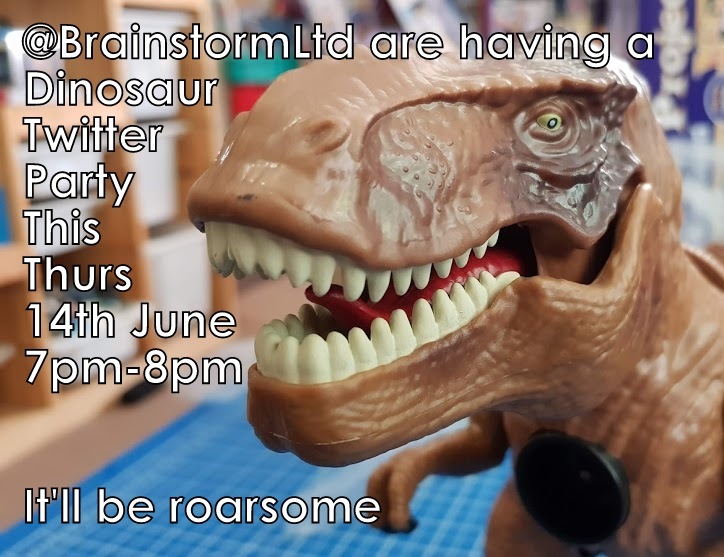 The discs have 24 different dinosaur pictures in total and will project up to 1 metre high. 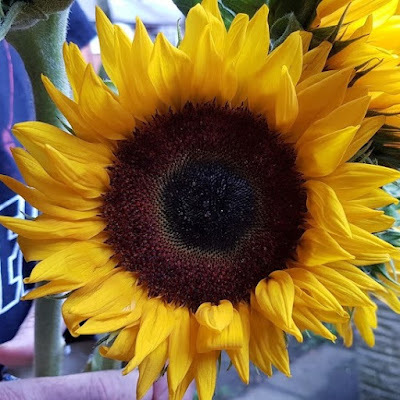 The image is clearer when you project them to something closer, but it works well and it's incredibly easy to use. 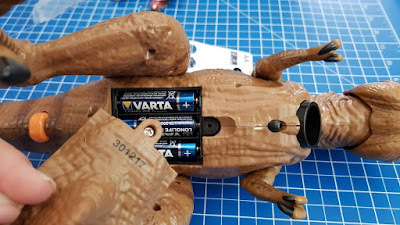 There is a trigger button under his tail, when in projector mode (with the lock symbol), this is a simple on/off and you change image by turning the disc by hand. 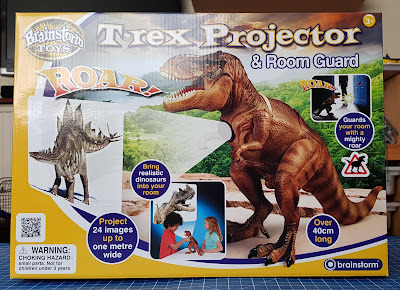 When in room guard mode with the (power) symbol selected, your t-rex will detect motion and will roar with 5 different bellowing sounds. If he's picked up, he'll continue to roar until he is put back down again. 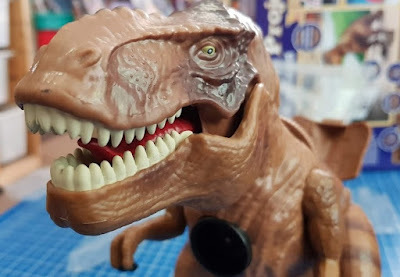 In a move of sheer genius, the T-rex's arms are moved to change focus. You can do it really easily with your fingertips, even when you are holding your T-Rex. This is incredibly light for it's size and easy for any youngster to manoeuvre. 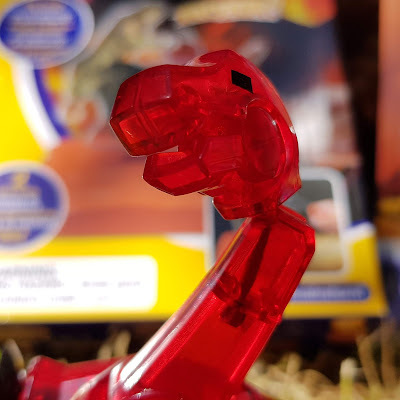 He even comes with a bonus T-Rex dinosaur warning sticker (shown in the video below) and there's a code inside the box which you can use online on the Brainstorm Toys website to unlock lots of dinosaur facts. Aqua Dragons have been around for a long time now - they're genuinely prehistoric - and they remain incredibly popular with children. 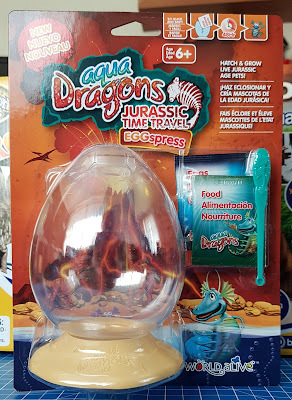 A great introduction to caring for pets and living creatures, Aqua Dragons are really brine shrimp, and the dried eggs will survive almost indefinitely. Once you add water they hatch in around 24-48 hours and it'll be a couple of days before you can see them with the naked eye. This is a great little Aqua Dragons kit with everything you need to keep several generations alive for a long while. 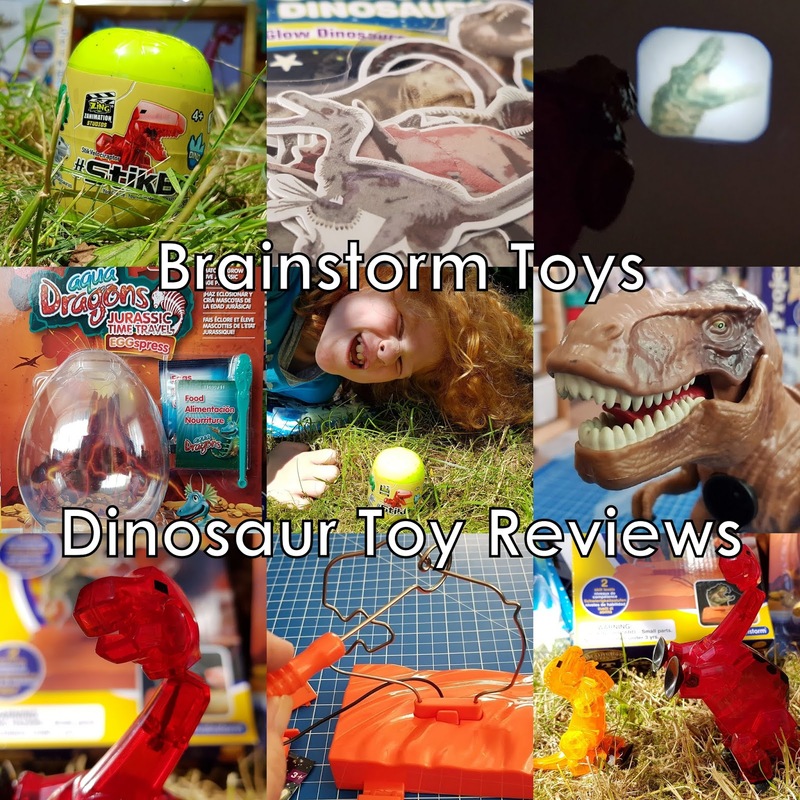 The 'tank' has a Jurassic theme and is very stable with a large base to prevent accidental tipping. Your sea creatures only need feeding every few days and an entire life cycle is run through in less than 2 months. 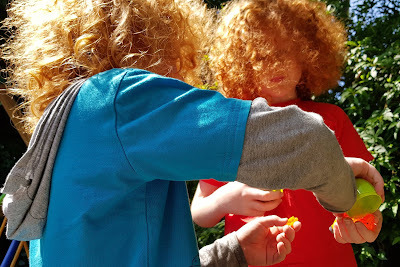 We've previously kept aqua-dragons for years, several times, with our big grown up kids. 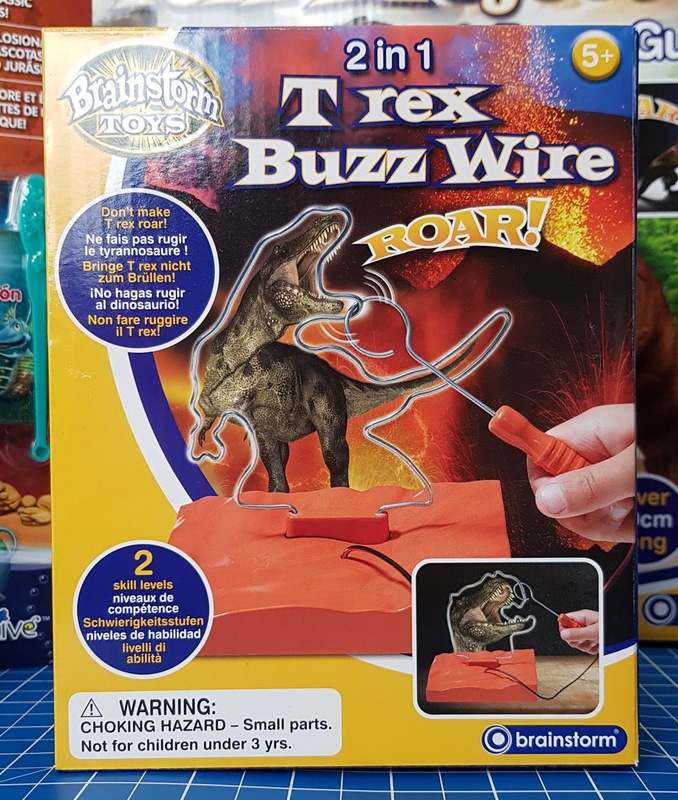 T-Rex Buzz Wire - 2in1 has 2 different shaped wires with different levels of difficulty, although they are both pretty tricky! 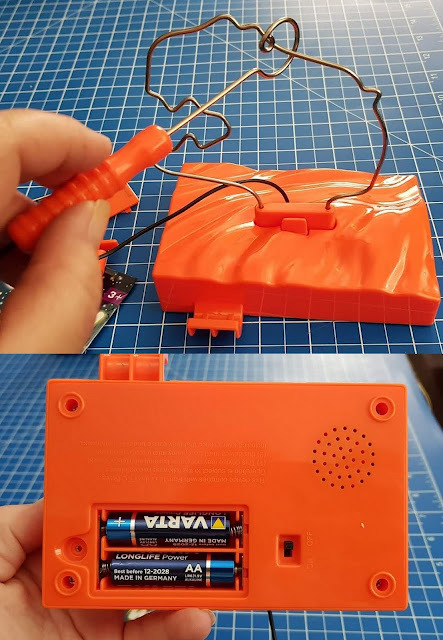 You need a steady hand to get from the start to the finish without touching the wire and setting off the loud Roar! Super-easy to change from one shape to the other, they just pull out or push and clip in, and you'll need a small Phillips screwdriver to put in the 2 x AA batteries (not included) before you start, but there are no rules to learn and anyone around 5+ can play. Glow Stars And Dinosaurs are brilliant. They are really bright and I love that the 35 stars are plastic, but very lightweight. 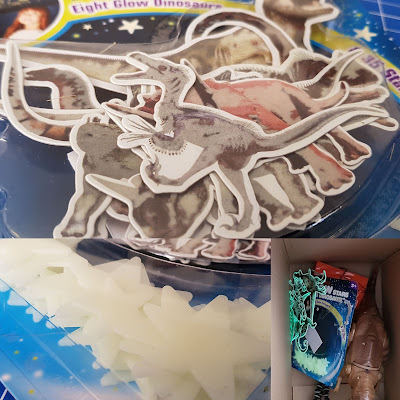 Sticky pads are included or you can use a tiny spot of blue or white tack to fix them to the wall or ceiling in a random mess, or recreate genuine star systems. We have a lot of these stars and after raising all these children, at night there are random glowing patches all over my walls and ceilings. I love it. 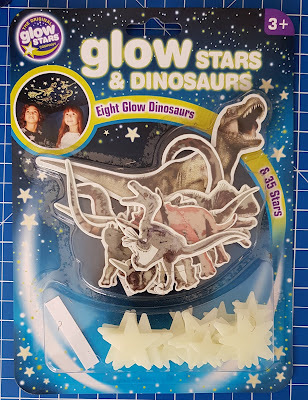 The 8 card dinosaurs are thick and also glow really well - they even show up on camera in a slightly dark box! StikBot Mega Dino Brontosaurus is a great addition to the StikBot range. 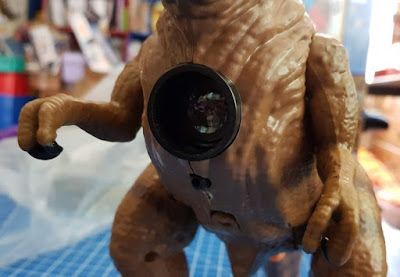 Articulated characters with sucker feet and hands, designed to be ideal for stop motion animation. 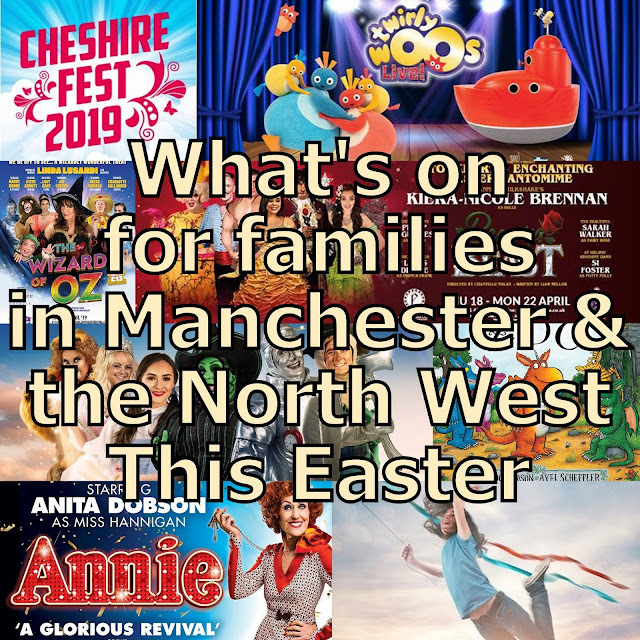 We've only ever had people before, so adding dinosaurs is very exciting. 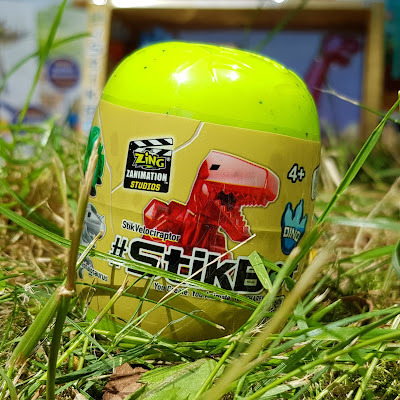 StikBot Dino Egg Velociraptor is a mini chap, but still just as impressive, and he arrives sealed in a 'blind bag' style egg. We only noticed it said Velociraptor on the side, but the blind packaging can contain a number of different dinosaurs, including triceratops or stegosaurus. The dinosaurs have elasticated articulation at the hips, knees and arms, and neck, which will move easily in increments, to run for example, when filming stop-motion. They also have opening and closing jaws, which makes them look like they laugh as much as roar. 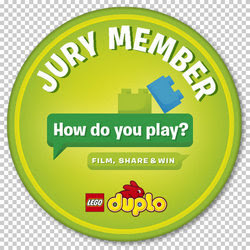 My 9 year old film-maker has yet to get to grips with moving more than one bit at once, but he's learning. 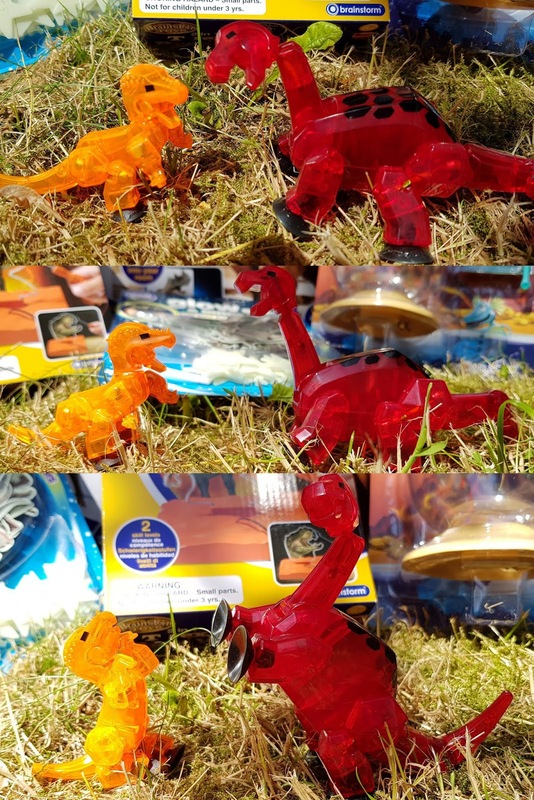 It takes a while to make a stop-motion animation, there are lot of photos to do to make a few seconds worth of film, but here's our new terrifying dinosaur movie - starring Brontosaurus and Velociraptor, with a cast of supporting Brainstorm actors and a little mild peril! 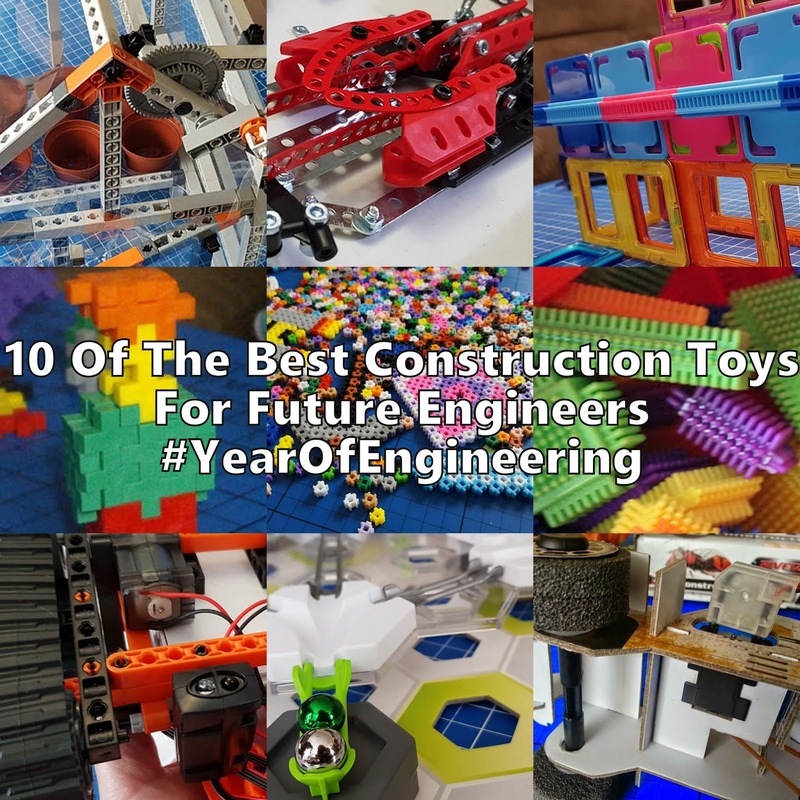 Find out more about the Brainstorm range of educational and STEM supporting toys on the Brainstorm Toys website. 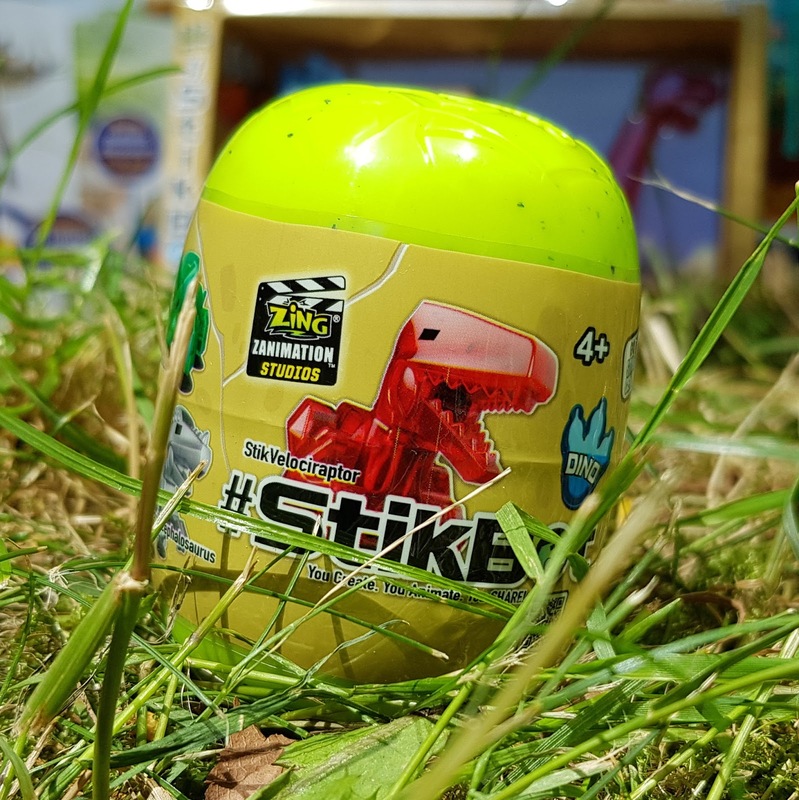 Find out more about StikBots, with loads of 'how-to' videos and tips for amateur film-makers, on the StikBot website - where you can also find the StikBot free stop-motion animation app. 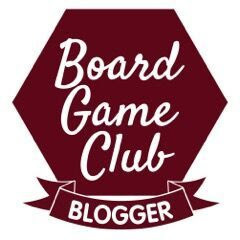 Don't forget the Twitter party! You can win a bundle of Brainstorm dinosaur toys and other prizes! I use Amazon affiliate links, which mean I earn a few pence towards dinosaur food and paying my website costs if you buy through my link, but you won't pay any more. 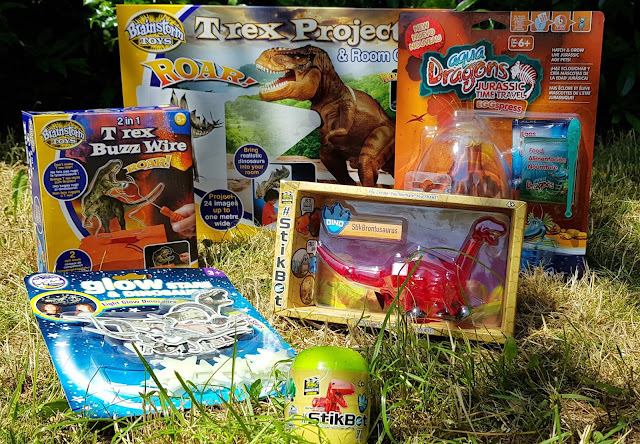 We were sent the products shown to review before the Twitter party!